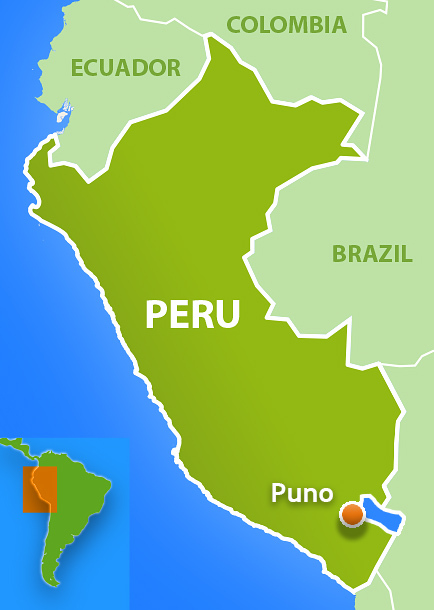 Puno is located in the antiplano of southeast Peru, on the shores of Lake Titicaca. 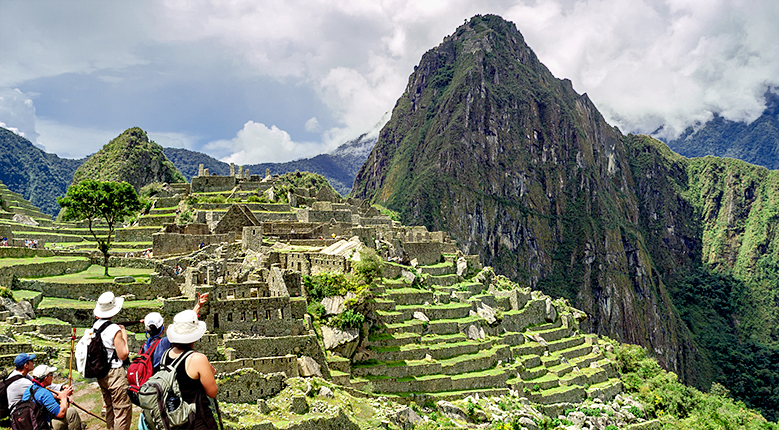 It is easily reached via rail, road, and air from Cusco. At an altitude of 3860 m (12,421 ft) Puno is a very cold and arid place; visitors must arrive with warm llama knitted clothing. Lake Titicaca Train: First class train ride to Puno or air flight to Juliaca with transfer to hotel. 2 Star Reservations would take the low-cost and tight fit bus trip from Cusco to Puno. Both have an impressive via of central Peru's antiplano. 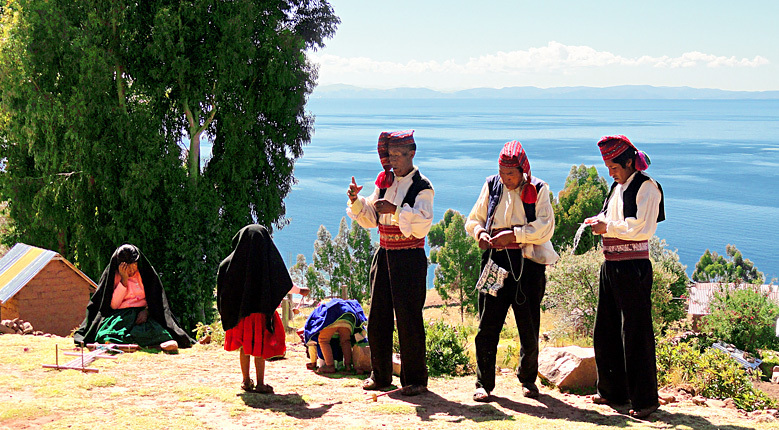 Upon arriving to the shores of Lake Titicaca you are free to explore the city that awaits you. Meals: Breakfast at hotel (unless arriving from home country in afternoon). 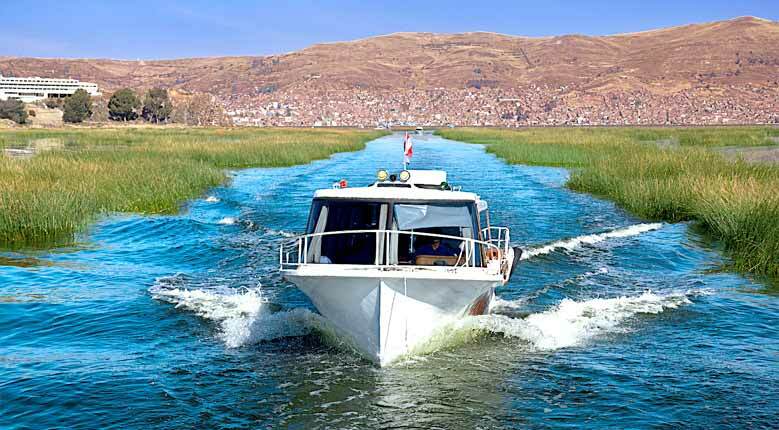 Lake Titicaca Tour: Boat ride to the floating Uros Islands where the people of Lake Titicaca have been living for hundreds of years. The lake is 3,800 m above sea level (12,500 ft.), 190 km long (118 miles), and 80 km wide (50 miles). Get prepared to see the most remarkable ways of life ever imagined. You will see that the natives live completely self sufficient on man-made islands, and have very little contact with the rest of the world. Through a native translator, the heads of the islands will explain how the Uros people came to be and how the islands are made. 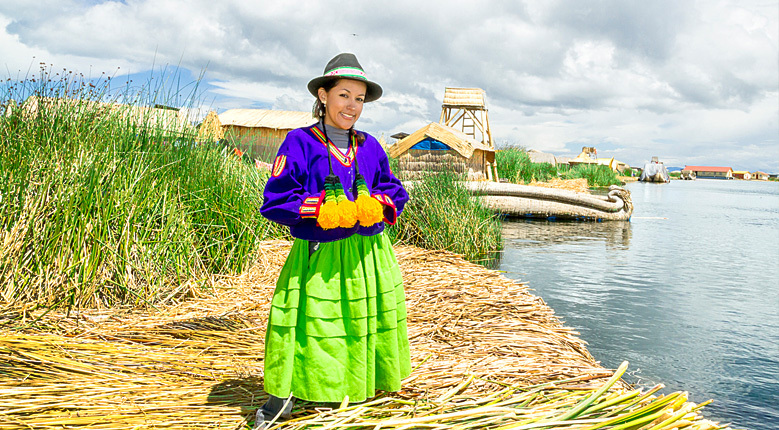 We will travel to Taquile Island to have lunch made by the local Uros people. Afterwards we arrive back to the mainland for a tour of the Sillustani burial site. Meals: Breakfast at hotel; Lunch at Taquile. Stay overnight with a local family of the hospitable Uros people that have been living at Lake Titicaca for the past 800 years. Traditional meals will be served made from all local sources of the lake folk. 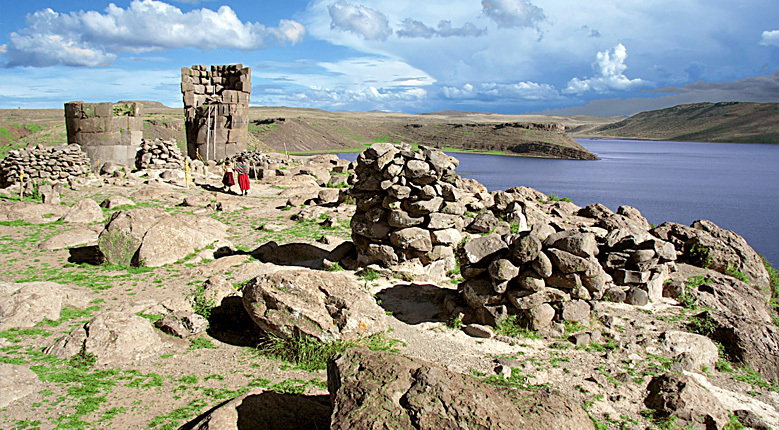 Visit the pre-Inca mummy burial site & chullpa towers built by the Colla people. 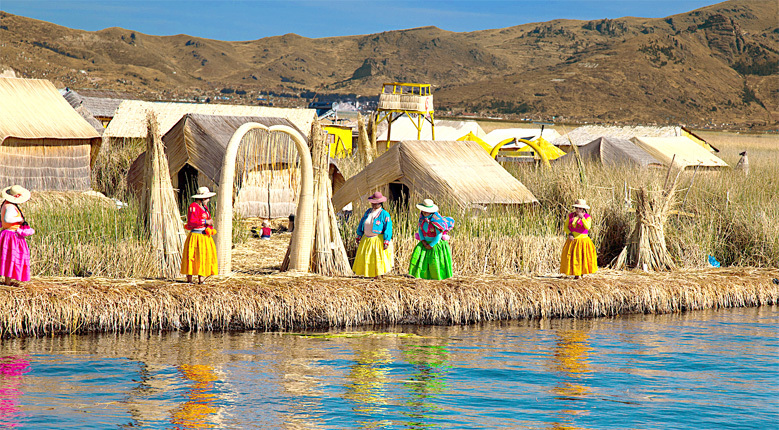 Lake Titicaca is located at an altitude of 3800m/12,500 feet. The weather is cold throughout the year, the best time to arrive is anytime during the year.